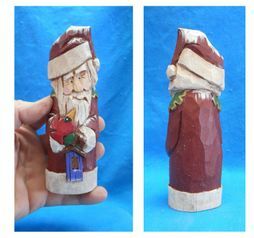 This hand carved Santa Claus is shown holding a Cardinal and is richly detailed. Truly this is a great gift idea for any collector. Measures: 2"w x 2" x 6"